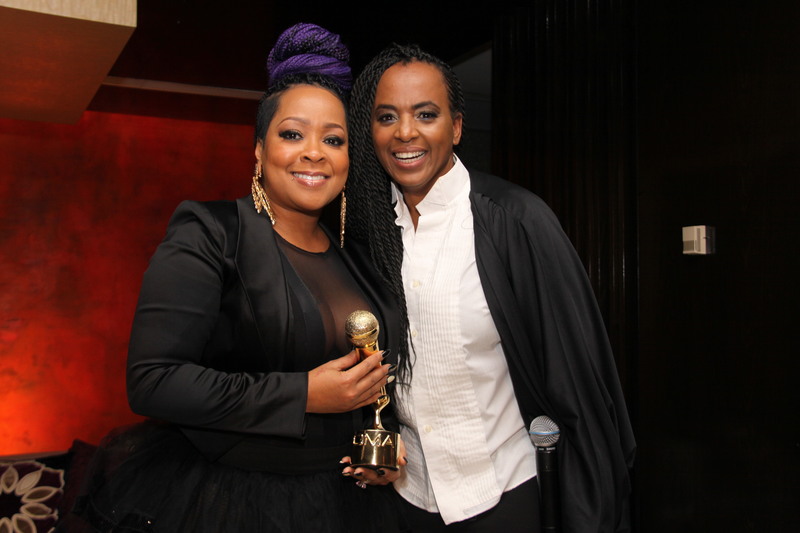 This past Monday on Martin Luther King Day the themes of social justice, equality, and perseverance resonated strongly for those in attendance at the 9th annual OUTMusic Awards (OMAs). Marketed as “the biggest night in LGBT music,” the OMAs almost didn’t happen. About three days before the awards show was to be held at New York City’s Town Hall Theater the OMAs executive director, Diedra Meredith was forced to notify the public that the ceremony was postponed for reasons that remain undisclosed. But funding hasn’t been the only issue plaguing the awards show. In 2010, pop culture columnist Michael Musto wrote a scathing review of the OMAs that questioned the organization’s professional reputation. In the column he highlighted several instances of miscommunication, lack of organization, and even an alleged onstage fight. For many the postponement of this year’s OMAs will further call into question the organization’s professionalism and ability to produce a viable awards show. Yet, for others it remains worthy of supporting as one of the few avenues of exposure for LGBT music artists. “A lot of people think it was calculated but it wasn’t. The song resonated with the community and I supported that because they showed love. So I would do clubs and things even though the label didn’t understand and they didn’t support it back then,” she shared. With the support shown to her by artists such as Tavon, Carter and Cox, Meredith is committed to forging ahead in her quest to celebrate LGBT music and raise its profile. The OMAs plan to return with a full-scale awards show this spring and the organization is currently filming a documentary about the rise of LGBT music titled, “For Which WE Stand (One Queer Music Nation In the Visible).” For Meredith now is the perfect time for the OMAs to grow in an age of openly LGBT artists from various musical genres such as Sam Smith, Frank Ocean, and Azealia Banks.